Wow…I still can’t believe it. 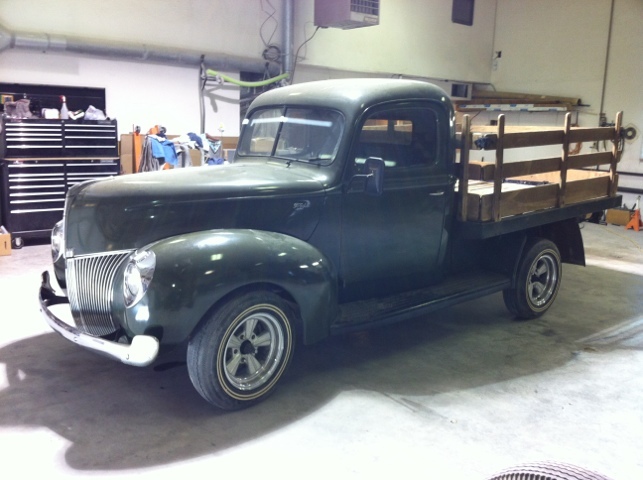 The ’40 Ford 1/2 ton stake bed is in my possession. This is the same truck that I learned to drive a standard transmission in nearly 32 years ago! 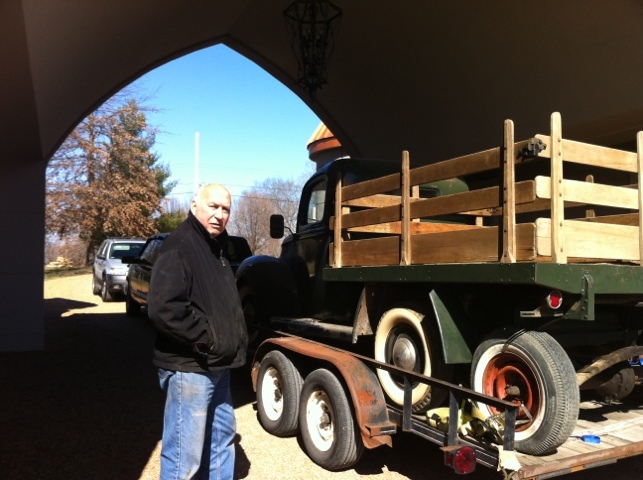 This past Friday, I borrowed my father-in-law’s pickup, picked up my dad’s trailer from Doug’s shop and headed up to the StL area to get the stake bed. 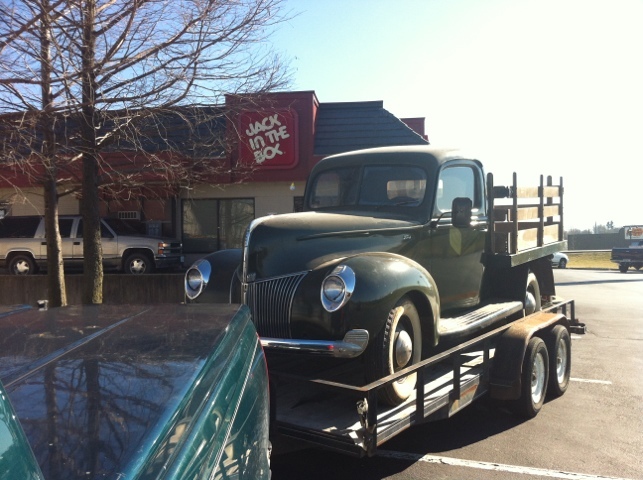 On the way, we stopped by and dropped off some stuff to Jim, who bought the ’37. It was rather strange seeing “my ’37” in someone else’s garage, but it was pretty cool. He said that he and his wife have been riding in it quite a bit over the past week. Way cool! 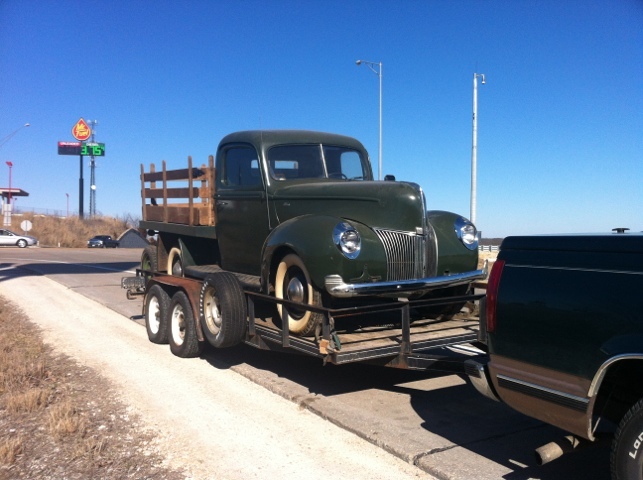 We were able to run and pick up the rear differential that I had pulled out of my ’40 coupe 30 years ago, so that I can swap it into the Stake truck. 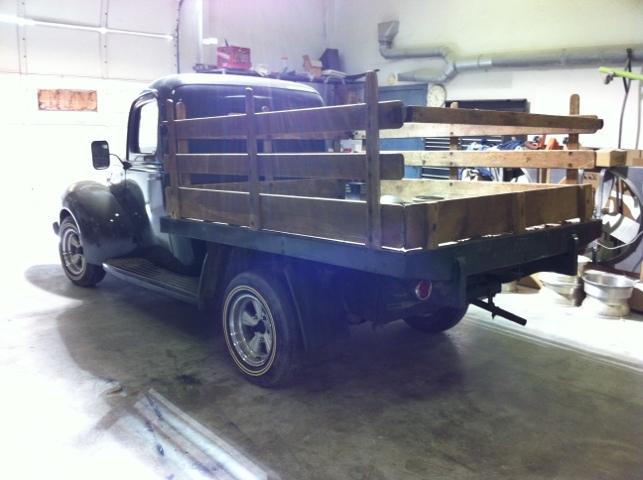 It’s a 3.78:1 ratio, and should help make the truck more driveable on the highway. We made it down to Thomas’ house, where my aunt had been storing the truck. 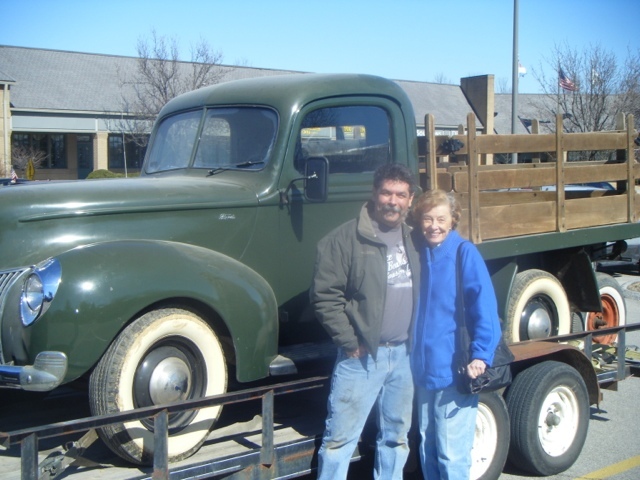 Dad ran over and picked up Aunt Betty Jo, and then came to help load the truck up. Within an hour or so, we were able to get things loaded up, get a tour of Thomas’ garage, and head out for some lunch before hitting the highway. The road trip home was exactly what I was looking for. Uneventful! 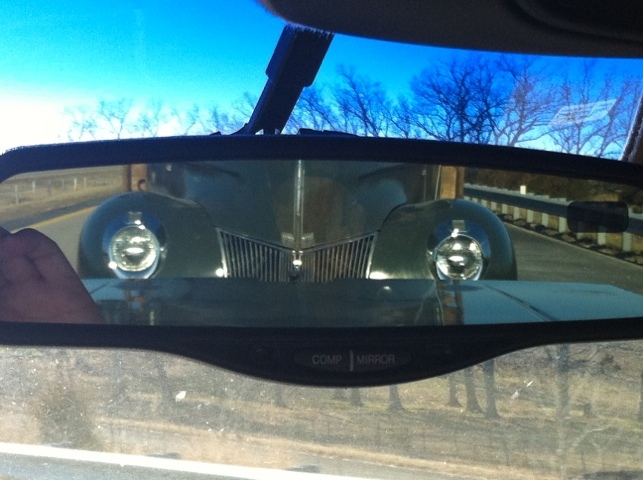 The trailer pulled like a dream, and the only “issue” that I had was the few times I looked up in the rearview mirror and startled myself by seeing the guy in the green ’40 truck following me so closely! I dropped the truck off at Doug’s and pulled the wheel’s off to get some new radials put on. The wide whites, even though they don’t have hardly any miles on them, they are nearly 30 years old and are coming apart at the treads. 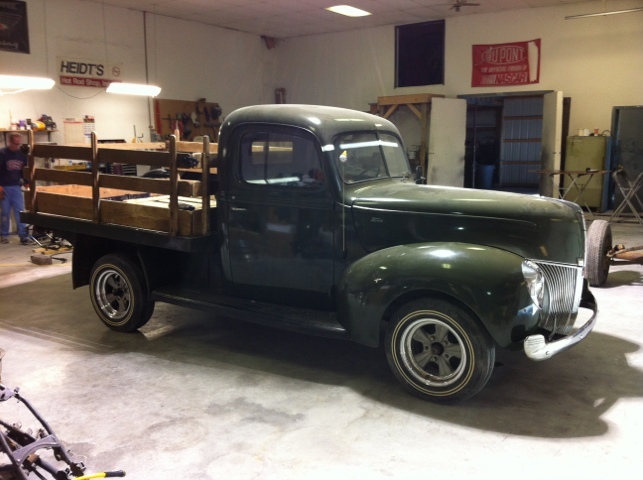 I threw Dad’s old Rader wheels on as “rollers” until I can get the wheels and tires back from the tire shop. These will NOT be staying on the truck. I have a quick road trip (rental car this time), and won’t get to mess with the truck until later this week. Hopefully I can get brake lines and fuel lines run next weekend! What an absolute gem!! Looking forward very much to seeing it on the road.